Dispersion K 500 | Acrylic Dispersions | Dispersions & Binders | Mediums, Binders & Glues | Kremer Pigments Inc.
MFT 7°C. Store safe from frost. Chemical description Aqueous dispersion of a thermoplastic acrylic polymer. 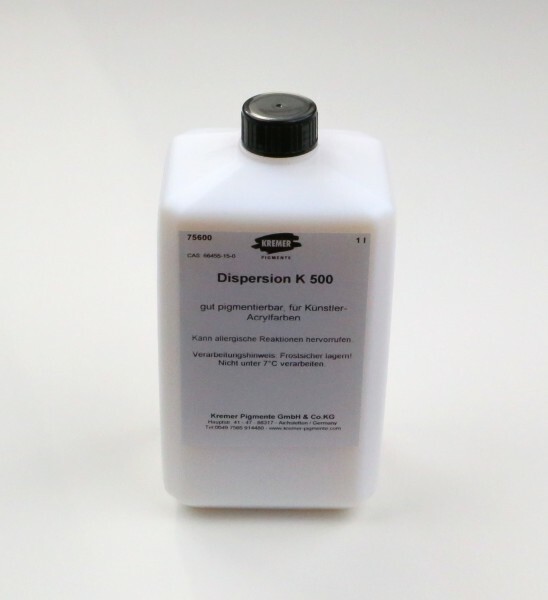 Customer evaluation for "Dispersion K 500"